DIY Income Investor: Prepare for Retirement! 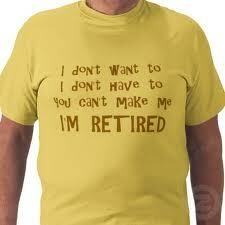 Preparing for retirement should be the main long-term goal for the DIY Income Investor - preferably retiring early! To me, 'retirement' means having the income to do what you want - but also will probably require you to live 'sensibly' (aka modestly). However - in the UK at least - the trend is going the other way, with retirement becoming more and more fraught with financial difficulties. Aviva conducts a survey every three months of people over 55, tracking their financial situation. The latest survey (published December 2011) is reported widely in the press (e.g. here and here) - and the February 2010 version of The Aviva Real Retirement Report is available to download. Most of the people getting old broke since they don't prioritize their retirement stage which is very important too. I have decided to set up a Sipp for my baby - at £100 a month to be paid till 18. What a gift! 5% increase in my yearly contributions, 5% return on the SIPP - 20% tax back every year and paid till 18 - it will give them a pension pot of £360 k. More scary is that if I adjust for inflation of 4% it is only worth 90k at todays prices. Still not a bad reserve. It is better to prepare for retirement at an early age. I heard there are on-sale retirement communities New York homes available now.